Nancy Martínez has listed the following properties. If you would like to view these, or any others, please contact Nancy. Unit 808 Sold! 1 BR, 1 bath 710 sq. ft.
Unit 2900 Sold! 2 BR, 2 bath 1,129 sq. ft.
Unit G110 Sold! 1 BR, 1 bath 735 sq. ft.
Unit G716 Sold! 1 BR, 1 bath 710 sq. ft.
Unit G512 Sold! 1 BR, 1 bath 710 sq. ft.
Unit 422 Sold! 1 BR, 1 bath 990 sq. ft.
Unit 2601 $579,000 2 BR, 2.1 bath 1,673 sq. ft.
° Spectacular downtown views from every room in this 26th floor aerie. Sparkling jewel box & sunset panoramas by night.2 BR + STUDY, 2.1 BATHS.Remodeled in 2009 with clean, contemporary lines.Motorized shades, two 22' balconies, 18â€� travertine floor tiles,marble bathrooms.Opened,stainless steel & granite kitchen.Designer art lighting throughout.Bosch stacked W-D.All appliances & 50â€� Samsung TV convey. 2 parking spaces.HOA fee includes all utilities,internet,cable,WiFi.Prime Preston Hollow location fronting Preston Center East with grocery,restaurants & boutiques. Terrific building amenities.1 pet under 30 lb. allowed. Furnishings (not art) also available to make this turn-key! ° Additional Info: HOA dues are $1,278 monthly, 2 covered parking space(s), Dallas ISD. Unit 2806 Sold! 2 BR, 2 bath 1,132 sq. ft.
Unit 506 $279,000 1 BR, 2 bath 1,132 sq. ft.
° If one works from home OR is a clotheshorse,this is it! Custom designed floor plan is now spacious 1 bedroom with sunny office or huge dressing room, in addition to bedroom walk-in.Rich wood floors throughout.Recessed lighting.Open kitchen with black granite tops & breakfast bar.Abundant built-ins.Master bath with tub, travertine tops & Toto washlet.Guest bath with walk-in shower. Custom drapes & plantation shutters.30ft. balcony facing the pool.HOA fee includes all utilities,cable, high-speed internet, Wi-Fi, & amenities including pool, tennis court, firepit, dog park, fitness center, party room, library. 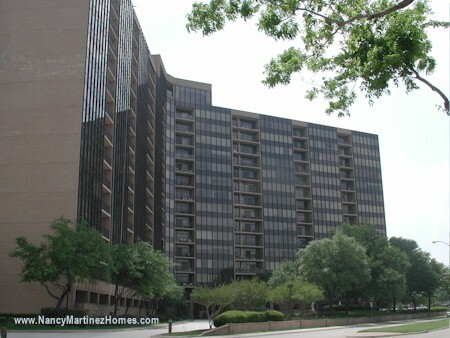 Prime Preston Hollow location near Northpark & grocery, shops & restaurants of Preston Center. ° Additional Info: HOA dues are $863 monthly, 1 covered parking space(s), Dallas ISD. Unit 408 Sold! 1 BR, 1½ bath 1,609 sq. ft.
Unit 1801 Sold! 2 BR, 2½ bath 1,642 sq. 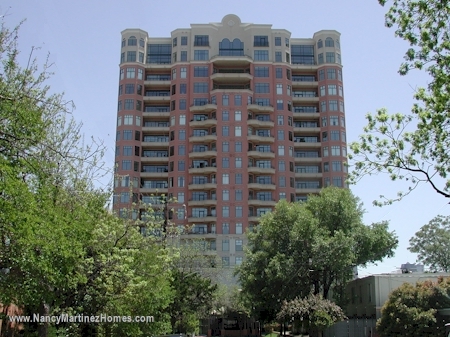 ft.
Unit 1235 $325,000 2 BR, 2 bath 1,685 sq. ft.
° This condo shines & is truly move-in ready, especially since furnishings are also available for purchase. New carpet in bedrooms. Freshly painted throughout. 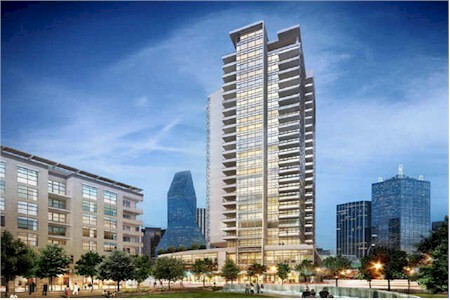 Andorra plan with beautiful 12th floor views to the northeast from 14 ft. balcony. Stylish vertical blinds throughout. Master bedroom boasts 3 closets, including a walk-in. Master bath does not skimp on details: double sinks, jetted tub, separate walk-in shower, medicine cabinet, linen storage. Kitchen with L-shaped Corian topped breakfast bar & space for a table too. Washer, dryer & refrigerator included. The Bonventure boasts an abundance of amenities on its sprawling acreage. 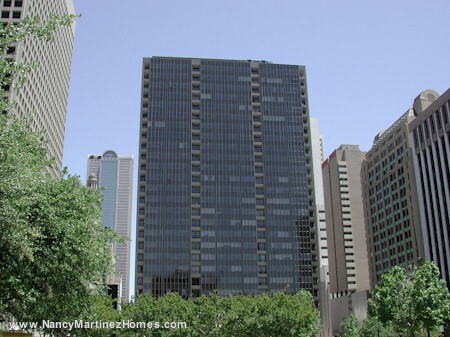 Location allows easy access to all points of the Metroplex. ° Additional Info: HOA dues are $840 monthly, 1 covered parking space(s), Dallas ISD. Unit 5B Sold! 2 BR, 2½ bath 2,293 sq. ft.
Unit 7E Sold! 2 BR, 2 bath 2153 sq. 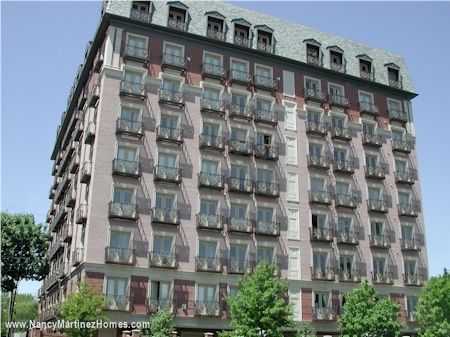 ft.
Unit 1704 $1,098,000 2 BR, 2½ bath 2,127 sq. ft.
° Breathtaking views to Downtown,the Calatrava bridges,Reunion Tower,& glorious sunsets from this stylish contemporary abode at The House in Victory Park.Coveted 04 corner floor plan offers 2 bedrooms PLUS study,27' wardrobe with 3 closets & built-in work area with separate entrance,dark oak floors in living areas,open kitchen with marble breakfast bar & Sub-Zero & Wolf appliances.2 Â½ luxurious bathrooms clad in Carrara marble.Motorized blackouts in master - Samsung TV included. 10Â½ ft. ceilings.Utility room.Spectacular 419 sq. foot terrace.Resort amenities include guest suite, sky-view terrace with cabanas & 130 ft.heated salt water pool & spa, fireplace, fitness center, party & conference rooms,dog run,& more. ° Additional Info: HOA dues are $1,528 monthly, 2 covered parking space(s), Dallas ISD. 8511 Edgemere #202 Sold! 2 BR, 2½ bath 2,693 sq. 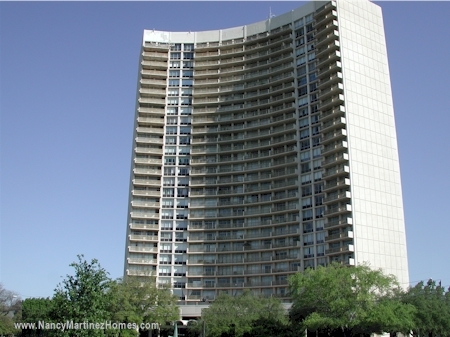 ft.
8511 Edgemere Unit 201 Sold! 2 BR, 2½ bath 2,618 sq. ft. The information contained herein is furnished by the owner to the best of his knowledge, but is subject to verification by the Purchaser, and Broker or Agent assumes no responsibility for corrections thereof. The sale offering is made subject to errors, omissions, change of price, prior sale or withdrawal without notice. In accordance with the Law, this property is offered without respect to race, color, gender, creed, national origin, familial status or handicap.